Montclair, New Jersey: Several Essex County communities along the Bloomfield Avenue corridor are planning to celebrate their local restaurants, and Montclair is no exception. Over 100 restaurants operate in the Township's several business districts, and customers will be able to enjoy the cuisine at these businesses during the 2015 Montclair Restaurant Week, which will last from Saturday, September 19th to Sunday, September 27th. “This is our chance to celebrate the community” said Taste of Montclair Chair John Lee. 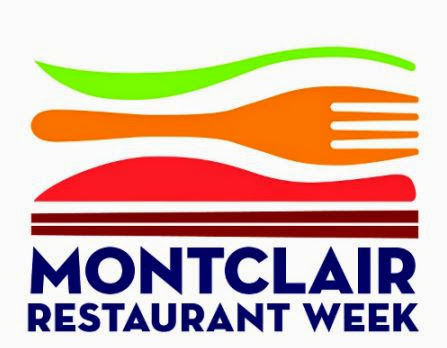 Montclair Restaurant Week will be presented by the Montclair Rotary Club, which also runs the annual Taste of Montclair event. The 2015 Taste of Montclair event was held in March, and attracted hundreds of locals. Participating restaurants will offer prix fixe menus, in addition to breakfast, lunch, and dinner specials. Other businesses are encouraged to offer specials during Restaurant Week as well. Restaurants that would like to participate in Montclair Restaurant Week should click here to donate $50, which will go to the charities supported by the Montclair Rotary Club. Businesses will in turn receive the festival poster and window sticker. Click here to learn more, or follow Taste of Montclair/Montclair Restaurant Week on Twitter at @TasteMontclair.